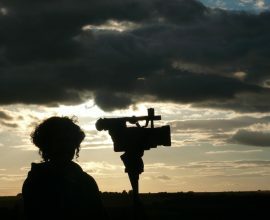 "Patty Greer Deciphers Crop Circle Spin 3/17/19"
After 10 years of wandering through the incredible UK Crop Circles and filming them from small airplanes with no door on my side… I began speaking on Crop Circles at UFO conferences and produced 8 UFO films that received prestigious awards. I had no idea how important Crop Circle Science was at the time, I just knew I loved the experiences I was having! As I look back on some of the most memorable moments and lessons I clearly remember the one that inspired this 7:07 minute video. It was 2014 and I was a Crop Circle speaker at the International UFO Congress Convention on Valentine's Day. I brought a Powerpoint presentation loaded with 300+ photos and amazing footage of Crop Circles from the air and also as I was walking through them. 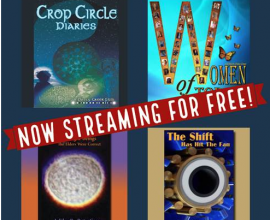 Additionally I licensed 2 impressive computer animated spinning Crop Circle videos from a gifted man and featured his videos in some of my films. (Thanks again R) For whatever reason both videos stopped at 1 minute although they were both 2-3 minutes long. They were mesmerizing videos of Crop Circles spinning ~ and then spinning in counter rotating directions, appearing as zero point. But that’s only my perception. As I tried to decipher Crop Circle messages over the years I found this to be a potential clue. Perhaps Sacred Geometric Crop Circles appear as mandala patterns subliminally to ease the mind with perfect balance and symmetry as medicine for the human soul. 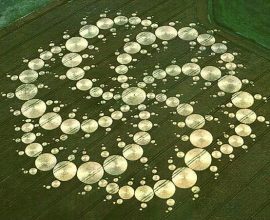 And most important, when you spin Crop Circle patterns they offer important information. Might we be seeing propulsion technologies and zero point information?